Estate: Antichi Vigneti di Cantalupo is located in Ghemme, at the top of the Piedmont region of northern Italy. The property has been handed down from father to son for centuries, all the while cultivating grapes for their own use or selling to other wineries. [The family’s “viticulture presence in Ghemme is documented from the beginning of the 1500s onwards”.] In 1977 Alberto Arlunno took the reins of the estate, revitalizing and increasing the vineyards and began estate bottling the grapes. Today the estate consists of 100 hectares, 34 of which are under vine. Winemaking: Grapes were sourced from vineyards located on alluvial hills where “in ancient times the great Monte Rosa glacier receded. 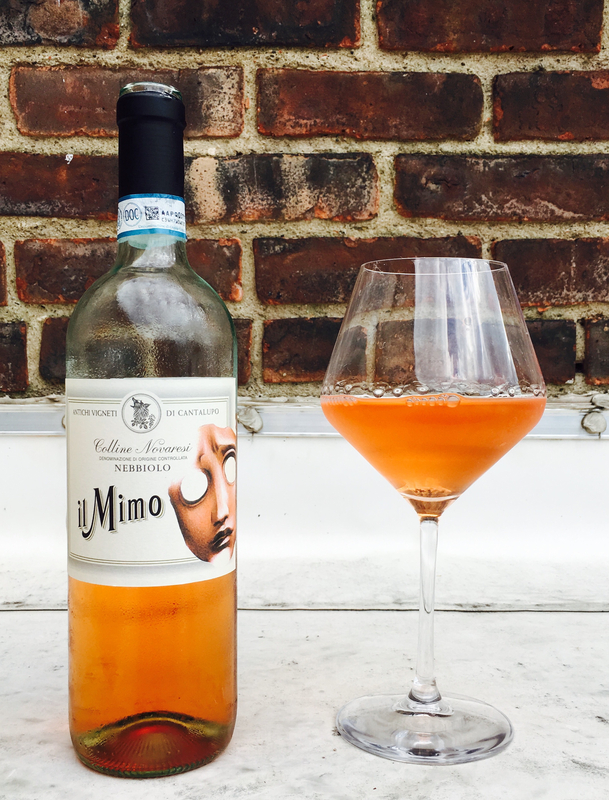 The soil is rich in easily fragmented pebbles providing the vines with a quantity of minerals.” The Nebbiolo Rosé takes its name from an ancient Roman mime mask that was found at the base of the Ghemme hill. Both theatre and wine are areas presided over by the ancient Greek god Dionysus, [or Bacchus during Roman times]. Tasting Notes: Bright orange-coral in colour with soft aromas of peach, citrus zest and lemongrass. Light peach, currant, citrus and grass flavours are accented by a bright acidity, peach and apricot comprise the dry, fruity finish. A little more body then most Rosé, don’t drink this straight out of the fridge, let it sit in the glass a bit for the aromas and flavours to open.